For the length of your chosen song you control your own weather system inside a fishtank. Lights, bubbles, waves, and water set the scene. Bring or select from available objects. Use your hands to tell your own story about water. The event occurs in relay, so that we lend a hand to one another in a mutual aid loop outside of disaster response. 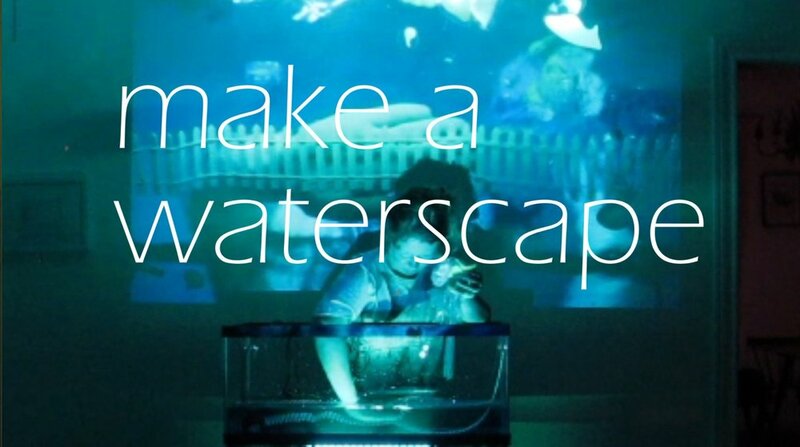 Each waterscape is videoed from below and projected large on a wall for all to witness. 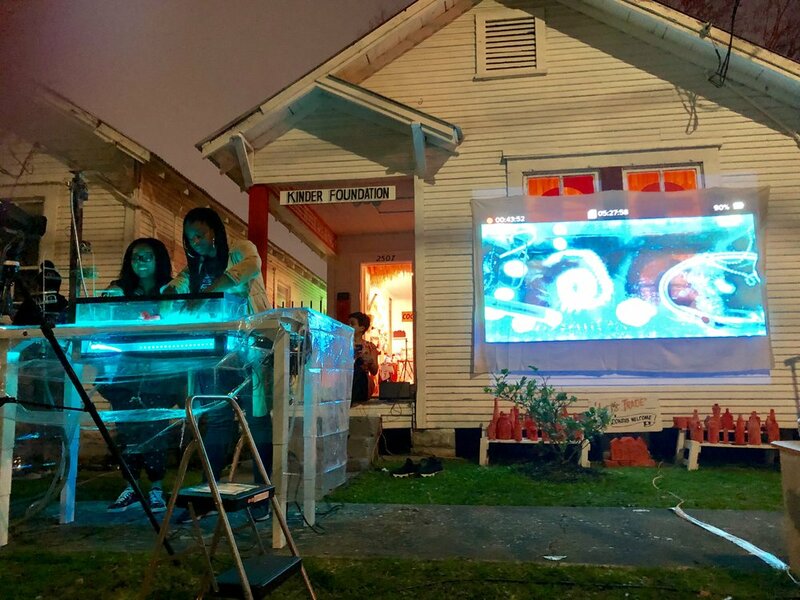 We're playing with what's possible between our collective imagination and our relationship with water in Houston. The Waterscape Apparatus 2.0 is now accessible for a range of abilities, statures, and poses, and ready to be taken on the road. We are seeking a hosting partner in each City Council District. Please email carriemarieschneider@gmail.com if you’d like to host a waterscape making event. Washing Water: Waterscape Making is funded in part by the City of Houston through Houston Arts Alliance Individual Artist Grant. The Waterscape Apparatus is set up for privates as well. So far I’ve done this with almost everyone who has worked on the project, and some dear ones as well. The experience is more guided ahead of time and after, with more time to play in the tank for your turn. Please email for more info.